The choice of phantom, which is used for quality assurance (QA) of a linac with an on-board Cone Beam CT (CBCT), is determined by the linac manufacture's recommendation. While some phantoms may give desirable QA results, it cannot be concluded to be accurate in terms of dosimetric calculations. CBCT dosimetry has been underutilized due to the overdependence of CT images for treatment planning and dosimetric calculations. CBCT has been used to perform dose-of-the day computations but was dependant on dedicated research software for image registration. ,,, CATPhan and CIRS phantoms have been confined to Quality Assurance purposes, therefore, the possibility of using those phantoms as part of dosimetric calculations have been overlooked. Observations from existing work show that: (1) Accurate results were obtained where phantom scan and calibration curves were generated by the same acquisition and reconstruction parameters, without necessarily using clinical parameters; (2) While population-based HU-D calibration curves have also proved to provide accurate doses, there is a statistical possibility of influence of outliers from patient body sizes that may affect the results; (3) Phantom inserts used for calibrations may also affect the calibration because the materials provided by the suppliers may not be true reflections of the densities of the equivalent tissues in the human body. Can Electron Density Curves of pCT and CBCT be used without the need for individual calibration curves? How will the dosimetric distribution differ from CT-based calculations, considering each phantom? CIRS model 062 with insert: Adipose, Breast 50/50, Muscle, Liver, Water, Lung (inhale), lung (exhale), Trabecular Bone, Dense Bone. The kV-CBCT images were calibrated using pCT as reference HU. Dosimetric calculations were performed on the images acquired on both pCT and kV-CBCT. Single fraction doses were prescribed to targets in both image sets, and point dose calculations were determined using the same fields and monitor units. This was used to assess the dosimetric accuracies of the phantoms. All acquisition parameters used in the work were selected based on the site-specific clinical parameters. Scanning parameters used on the CT were 120 kV, 220 mA, and slice thickness of 2.5 mm. On kV-CBCT, the parameters used were 125 kV, 254 mAs with half fan beam mode. (vi) Detailed interpretation of the results using the CT scanner as a reference. The kV-CBCT HU was calibrated using the CT HU as a reference. The calibration was performed using both CATPhan 504 and CIRS model 062 phantoms. During this procedure, the phantoms were set up on the couch with isocenters marked on each phantom. Reference lasers were used for image positioning. Scanning parameters of 120 kV, 220 mA, and slice thickness of 2.5 mm were used on the CT scanner for both phantoms. On kV-CBCT, scanning parameters of 125 kV, 254 mAs were selected. These parameters were selected to match the clinical practice. Scans were performed first on CT and then performed on kV-CBCT on the same day. Circular regions of interest (ROI) of area 502.45 mm 2 were selected for the sensitometry targets after the scan and HU values recorded. For dense bone, ROI of 38.05 mm 2 was selected to measure the center area. Each ROI selected for the HU measurement was less than the physical area of the insert materials, with a 1-mm margin between the physical radius and the radius of the area of interest. An equivalent square area was selected on the TrueBeam kV-CBCT during online review. The HU of pCT were plotted against the HU of kV-CBCT. 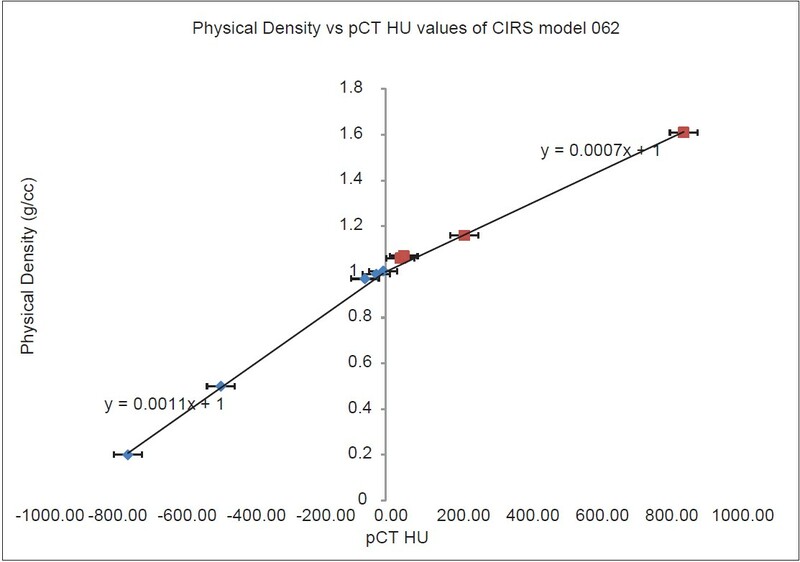 After obtaining pCT-CBCT calibration curves, HU to Physical Density (HU-D) and HU to Electron Density (HU-ED) were also plotted to compare the pCT and kV-CBCT curves for variations on physical density and electron density. [Figure 1] shows how ROI was selected on each CT image. [Figure 2] and [Figure 3] show pCT - CBCT calibration curves obtained from both phantoms. The curve in [Figure 2] represents the dataset from CATPhan 504 phantom. [Figure 3] represents the curve obtained from the dataset of the CIRS phantom. 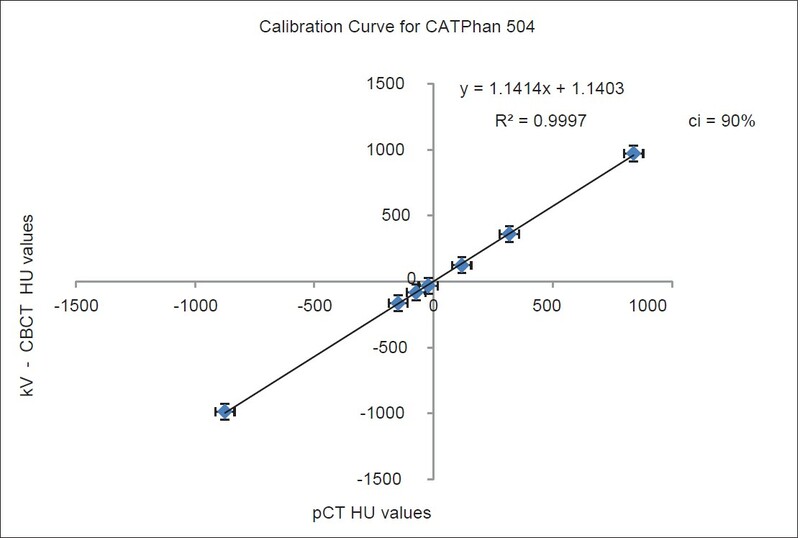 Using the CATPhan 504 phantom, HU values obtained from CT scan showed that the overall standard deviations ranging from a minimum of 3.01 for Acrylic, which had a mean HU of 118.5. The maximum standard deviation observed was 44.61, which was recorded for the HU values of Air with a mean HU value of −874.59. Values obtained from kV-CBCT, however, yielded overall standard deviations with a minimum of 11.35 for polystyrene, and a maximum of 32.70 for teflon, with mean HU values of −32.26 and 972.17, respectively. 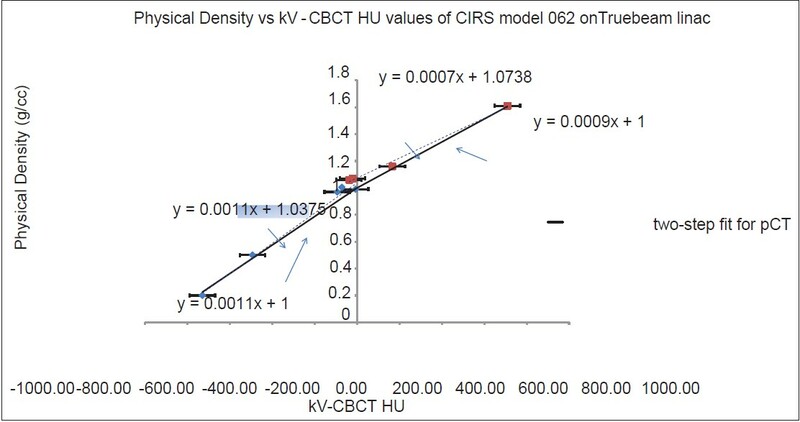 Though there was a linear correlation between the HU values for CT and kV-CBCT, overall, there was no correlation between their responses to the individual sensitometry targets. They varied across all the targets even though the results for kV-CBCT were quite consistent. On CT, the CIRS model 062 yielded an overall minimum standard deviation of 2.24 for breast 50/50 sensitometry target with a mean HU value of −26.30 and a maximum standard deviation of 32.32 on dense bone with a mean HU value of 864.98. Results of the same phantom on kV-CBCT showed a minimum standard deviation of 6.62 for breast 50/50 with a mean HU value of −7.41 and also a maximum of 46.06 for dense bone with a mean HU value of 709.31, thus repeating the trend observed on CT scanner. The overall results of obtained from CIRS phantom showed that kV-CBCT HU were also very consistent. [Figure 4], [Figure 5], [Figure 6], [Figure 7], [Figure 8] show Physical Density and Electron Density curves for both phantoms. The Physical density curves for the CATPhan phantom are shown in [Figure 4] and [Figure 5]. 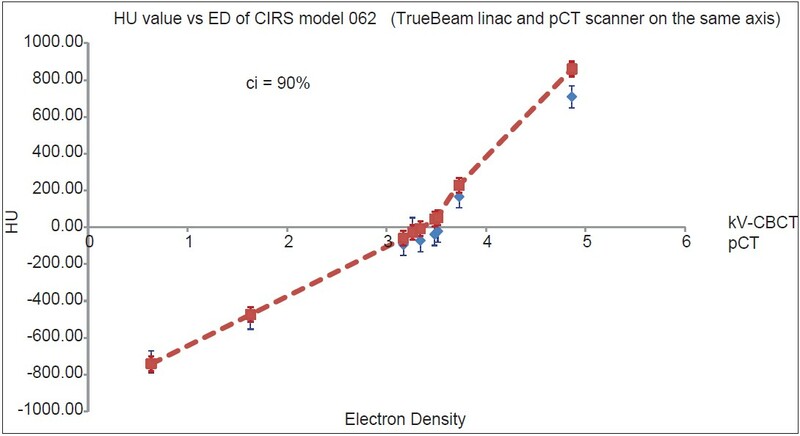 [Figure 5] shows the curves for both CT and TrueBeam linac. The Electron density curve in [Figure 5] is similar to Relative Electron Density (RED) curve in [Figure 7] which is required by treatment planning systems to perform computations. Though, the curves usually appear to be similar, they have different intercepts on the horizontal axis. The behavior of an ED curve predicts the RED curve. [Figure 6] and [Figure 8] show the electron density curves for both phantoms. [Figure 6] is for the CIRS phantom and [Figure 8] is for the CATPhan. The linear responses of Figures 2 and 3 indicate that kV-CBCT source from the TrueBeam linac were very predictable due to its linearity in response. Responses from both CT and kV-CBCT also show that the Hounsfield units of kV-CBCT were very consistent. The error margins on the graphs were plotted with 90% confidence interval. A linear response to the curve suggests that an extrapolation or interpolation can be made from the curve to account for any HU values that have not been recorded. The stability of the kV-CBCT calibration curve was also investigated over a period of three consecutive months and was very found to be very stable. 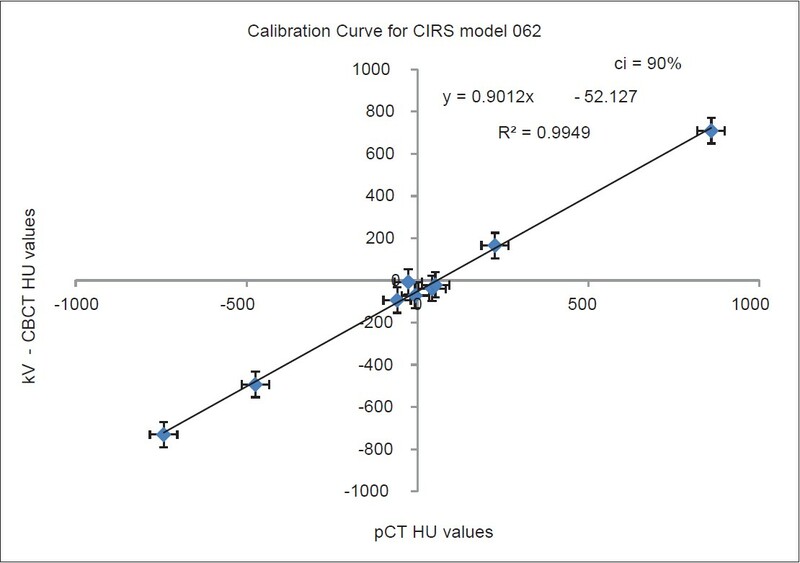 The HU values obtained from kV-CBCT have linear correlations, but accuracy could not be established at lower Hounsfield units for all sensitometry targets of the CIRS phantom. The CATPhan, however, produced accurate values between the two HU datasets, that is, pCT and CBCT. On the CIRS phantom, lung (exhale), lung (inhale), dense bone, trabecular bone, water, adipose, and breast had positive calibration factors, which but only lung (exhale) and lung (inhale) produced accurate kV-CBCT HU values with respect to the planning CT. Dense bone and trabecular bone both showed positive correlations with lower kV-CBCT HU values. It was also observed that for the targets with physical densities between 0.97 g/cm 3 and 1.07 g/cm 3 or with their corresponding ED of 3.17 e/cm 3 and 3.516 e/cm 3 , it was not possible to predict the correlation between the Hounsfield units from CT and the linac. It was observed that the HU values of the two phantoms were very consistent. Though the values of the CIRS phantom fluctuated for breast 50/50, the values were quite consistent for the other sensitometry targets. The trend of consistency observed was that HU values from the linac were more stable at HU values greater than 100 HU. Occasional outliers were also observed within the dataset. Standard deviations of the dataset were below 25% except for dense bone, which had a standard deviation of 46.06%. 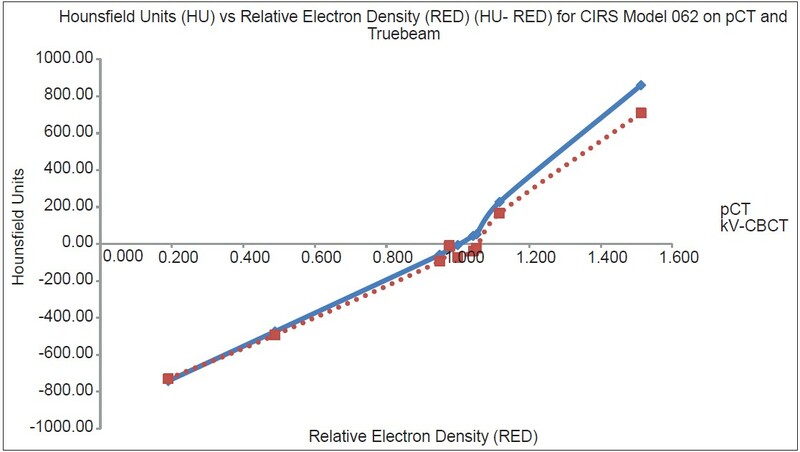 For the CIRS phantom, the variation of Hounsfield units of the dataset obtained on the CT scanner had a relatively smaller standard deviation than the dataset of values from the TrueBeam linac, therefore indicating a consistent and reliable result of the measurement. kV-CBCT also recorded very low Hounsfield units with high-density targets, yet the scatter contribution also made it unreliable with the relatively low electron-density sensitometry targets. Very large variations in the Hounsfield units can cause problems with the interpretation of readings in the Treatment Planning System during a calibration. For breast 50/50, adipose, and water, the values fluctuate between negative HU and positive HU on kV-CBCT. The geometry of the phantom also influences the HU of the sensitometry target because it was observed that targets within the inner rings of the CIRS phantom yielded larger HU values compared to the same targets that were on the outer rings. In the human body, the targets are also not positioned on the surface; therefore, the extrapolation of the results to humans may result in dosimetric miscalculations. CT was used as a reference in this case and the curve obtained from the TrueBeam linac was compared to it. IPEM report 91  recommends a ± 10 Hounsfield Units in all other targets but a ±5 HU variation in water for CT quality assurance purposes. This is stated for scans in which the CIRS phantom is used for quality assurance. The manufacturers' variations recommended for kV-CBCT is ±40 HU. [Figure 6] shows the kV-CBCT plot. The solid line is a linear fit for CT with an intercept of 1 on the vertical axis. While the linear fit for the CT shows an acceptable gradient for QA purposes, the broken line shows the actual behavior of the curve. It is evident that at low Hounsfield units, the scatter contribution is very significant. This has an impact on tissues with low physical densities. The targets affected by these scatter contributions were adipose, breast 50/50, water, muscle, and liver with physical densities of 0.97-1.09 g/cc. [Figure 7] shows the behavior of HU-RED curves for both scanning devices. At very low Hounsfield Units, the scatter contribution was very prominent in the kV-CBCT image. This affects the adipose, breast 50/50, liver, muscle, and water sensitometry targets, hence not giving a very reliable interpretation of the Hounsfield Units measured. All results from the CATPhan phantom gave a clear distinction between each insert material and are shown in [Figure 8]. However, teflon and air were observed to be out of range of the recommended variations. While CATPhan produces very linear and accurate kV-CBCT responses that matched CT responses, the insert materials in the phantom do not reflect the tissues in the human body; therefore, the results may be accurate for QA purpose but in case of actual patients, it has very little representation. 2. Phantom positioning: Since CT and linac were in different rooms, position verification devices could be offset from the set-up on the CT. While on CT couch, the isocenters for both phantoms were clearly marked; therefore, there was no need for the couch to be repositioned vertically. However, on the couch of the linac, it was observed that the isocenter of the CIRS phantom was achieved at a 13 cm but had to be adjusted by 0.2 cm to attain the same marked isocenter on CATPhan. It was clearly evident that the positioning of the phantoms was another source of error which could also affect the results. This means that though the phantom may be in FOV of the kV-CBCT scanner, the SAD at which the image is acquired may vary. While the phantoms used in this work are often confined to QA purposes, the assessment was done to investigate their dosimetric accuracies due to the dominance of the Rando phantom in dosimetric evaluations. Dosimetric calculations were performed on Eclipse TPS using both CT and kV-CBCT images. The calculations were done without any corrections or modifications to the HU-ED calibration curve in TPS. Therefore, all calculations were based on the pCT HU-ED calibration curve. Dose/MU calculations were also performed to determine the variations in accuracy of the prescribed doses delivered to the phantoms, with respect to their pCT- and CBCT-based images. Single dose fractions were prescribed to targets in both image sets, and point dose contribution was determined for each field. 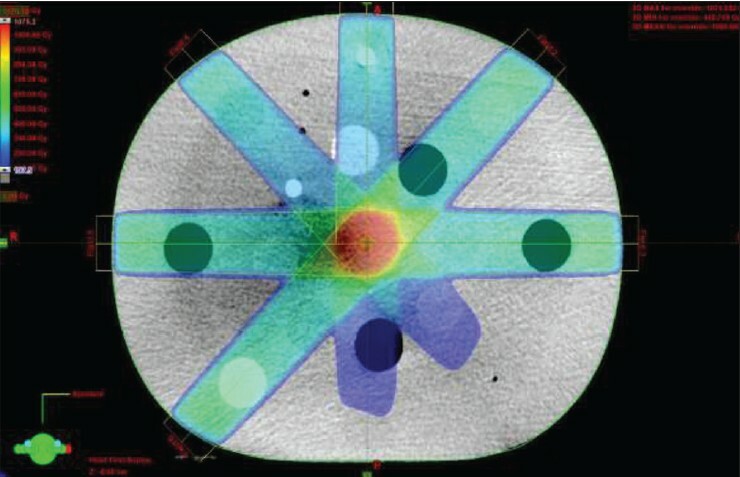 For each phantom, the static fields from the 6MV TrueBeam linac was copied from the pCT-based plan and transferred unto the kV-CBCT image for the dose calculations. Doses on pCT-based plans were compared to the doses on the CBCT-based plans of both phantoms. The dose per MU for plans based on CATPhan was consistent in both CT- and CBCT-based plans. For MU between 9500 and 50500 and single doses of 500 Gy, 800 Gy, 1000 Gy, 1500 Gy, 2000 Gy, and 2500 Gy, the ratio of dose to MU were calculated to study the variations for each prescribed dose. pCT-based doses to CATphan were 500.200 Gy, 799.536 Gy, 1000.031 Gy, 1499.813 Gy, 2005.596 Gy, and 2503.102 Gy for prescribed doses of 500 Gy, 800 Gy, 1000 Gy, 1500 Gy, 2000 Gy, and 2,500 Gy, respectively. The corresponding doses on kV-CBCT-based doses were 570.933 Gy, 913.492 Gy, 1141.618 Gy, 1711.512 Gy, 2279.614 Gy, and 2854.663 Gy, respectively. [Figure 9] shows a screenshot of the treatment plan. pCT-based doses to the CIRS phantoms were 499.996 Gy, 800.046 Gy, 1000.080 Gy, 1499.668 Gy, 2002.965 Gy, and 2499.998 Gy for prescribed doses of 500 Gy, 800 Gy, 1000 Gy, 1500 Gy, 2000 Gy, and 2,500 Gy, respectively. The corresponding doses on the kV-CBCT-based doses were 521.228 Gy, 836.416 Gy, 1048.286 Gy, 1571.815 Gy, 2090.128 Gy and 2616.250 Gy respectively. The CT-based plans produced D/MU of 0.00595, 0.00595, 0.00595, 0.00594, 0.00595, and 0.00594 for the respective doses prescribed in ascending order. The corresponding values for the kV-CBCT-based plans were 0.00592, 0.00592, 0.00591, 0.00592, 0.00592, and 0.00592, respectively. The treatment plan is shown in [Figure 11]. 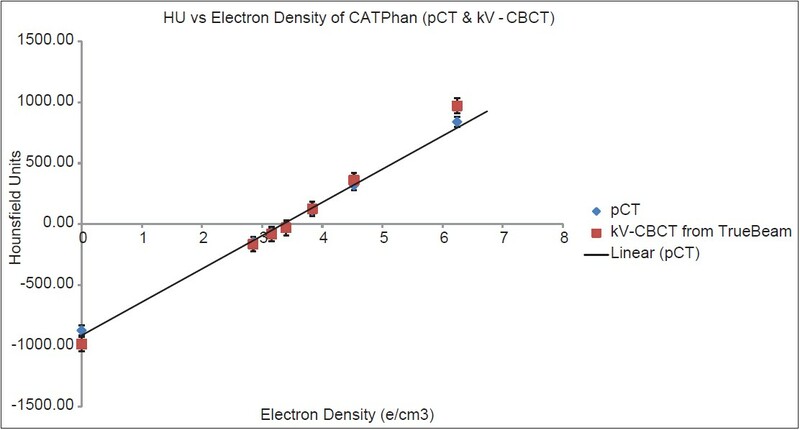 The dosimetric studies showed a variation of ±14% of the pCT-based dose using CATPhan phantom and the CT calibration curve. The CIRS, however, produced results within ±5% of the prescribed dose, which was the pCT-based dose, using the CT calibration curve. There is a near-perfect linear correlation between CT and CBCT for HU values produced from both phantoms. The acceptable margin of ±40 Hounsfield Units can be achieved from the TrueBeam linac on a daily basis with 90% confidence interval, irrespective of the phantom used. The ED-HU curves from kV-CBCT dataset indicate that TPS can accurately interpret the sensitometry target information required to make dosimetric computations from both phantoms. It successfully makes a distinction between each target, notwithstanding the effect of scatter at low HU values on CIRS. The CIRS phantom is reliable for calibrations for performing daily replans due to the geometric distribution of the sensitometry targets within the phantom and for its dosimetric accuracy. Dosimetric calculations obtained from the images acquired using TrueBeam linac show doses with variations within ±5% of the CT-based plans, using the CIRS phantom. This concludes that while the CATPhan phantom produces linear responses and produces highly accurate and consistent HU values on CBCT, it does not provide accurate dosimetric values due to the ±14% variation. The authors wish to thank Mr. Derek D'Souza of UCLH Radiotherapy Physics, staff of Harley Street Clinic (HCA at ULCH), the Staff of UCLH Radiotherapy Physics Department, all CT and Linac radiographers at UCLH, and the Head of Radiotherapy Services at UCLH. 1. Hughes J, Holloway LC, Quinn A, Fielding A. An investigation into factors affecting electron density calibration for a megavoltage cone-beam CT system. J Appl Clin Med Phys 2012;13:3271. 2. Poludniowski GG, Evans PM, Webb S. Cone beam computed tomography errors and consequences for radiotherapy planning: An investigation of correction methods. Int J Radiat Oncol Biol Phys 2012;84:e109-14. 3. Yang Y, Schreibmann E, Li T, Wang C, Xing L. Evaluation of on-board kV cone beam CT (CBCT)-based dose calculation. Phys Med Biol 2007;52:685-705. 4. van Zijtveld M, Dirkx M, Heijmen B. Correction of cone beam CT values using a planning CT for derivation of the "dose of the day". Radiother Oncol 2007;85:195-200. 5. Fotina I, Hopfgartner J, Stock M, Steininger T, Lütgendorf-Caucig C, Georg D. Feasibility of CBCT-based dose calculations: Comparative analysis of HU adjustment techniques. Radiother Oncol 2012;104:249-56. 6. Richter A, Hu Q, Steglich D, Baier K, Wilbert J, Guckenberger M, et al. 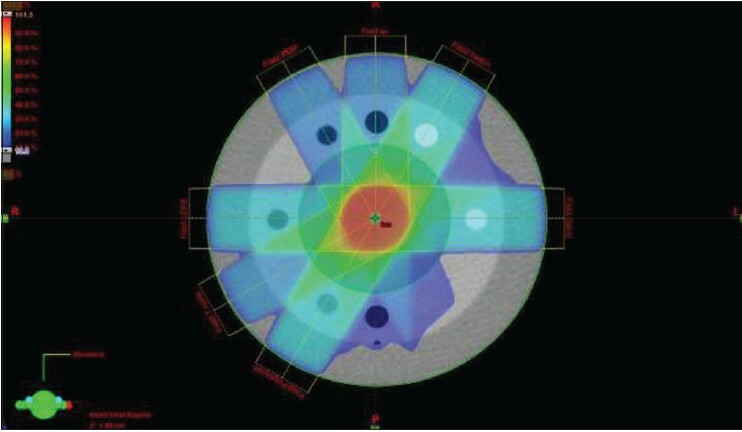 Investigation of the usability of cone beam CT data sets for dose calculation. Radiat Oncol 2008;3:42. 7. Ding GX, Duggan DM, Coffey CW, Deeley M, Hallahan DE, Cmelak A, et al. 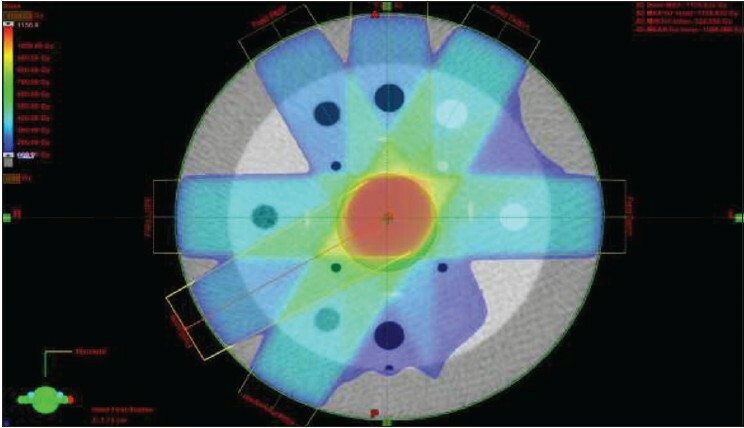 A study on adaptive IMRT treatment planning using kV cone-beam CT. Radiother Oncol 2007;85:116-25. 8. Hatton J, McCurdy B, Greer PB. Cone beam computerized tomography: The effect of calibration of the Hounsfield unit number to electron density on dose calculation accuracy for adaptive radiation therapy. Phys Med Biol 2009;54:N329-46. 9. ICRU-50, International Commission on Radiation Units and Measurements "Prescribing, recording, and reporting photon beam therapy" ; Bethesda, MD, USA.1993. 10. IPEM report no. 91; Institute of Physics and Engineering in Medicine "Recommended Standards for the Routine Performance Testing of Diagnostic X-Ray Imaging Systems" IPEM, York, UK. 2005 (ISBN 1-903613-24- 8). 11. Mail TB, Catphan 500 and 600 Manual, The Phantom Laboratory, Inc. Greenwich, NY, USA 2006.p 17. 12. Veiga C, McClelland J, Moinuddin S, Lourenço A, Ricketts K, Annkah J, et al. Toward adaptive radiotherapy for head and neck patients: Feasibility study on using CT-to-CBCT deformable registration for "dose of the day". Med Phys 2014;41:031703.